Fishes found in polluted waters is susceptible to get affected by tumors which forms the base of the present study. The study is focused on Mytus gulio, a resident along the Veli lake stretch. This lake gets polluted from the nearby industrial stretches and also by human activities. On behalf of the study it was observe that the fishes were affected by tumour which was reddish in color with an unpigmented multilobular growth found at the caudal peduncle of the fish. Fusiform cells arranged in parallel arrays, multinucleate giant cells, pleomorphic cells and focal areas of hemorrhage with nests of tumor cells were interspersed throughout the tissue. Disposition of the vertebra, dysplastic vertebral bone, conical protrusion under the skin and at the base of the caudal fin etc. were noticed which is said to be the histopathological symptoms of erythrophorma, the tumor. The occurrence of these deformities was attributed to the intensity of industrial as well as sewage pollution in the environment. Through, the study it was found that infectious causes of deformities were of high percentage, so more studies and researches are to be done in the field and effective preventive measures must be put forward. V.S. Beena, E. Sherly Williams, L. Razeena Karim and M.S. Vishnu Nair, 2013. Erythrophoroma and Vertebral Dysplasia in Mystus gulio. Journal of Biological Sciences, 13: 701-706. Toxicants in aquatic systems causes adverse effects on fishes mainly tumours. Some types of tumors are effective monitors of ecosystem health. Even tumors caused by genomic interactions or by virus would not be good indicators. The present study is aiming to demonstrate tumors in fish from polluted areas and found to support a tumor-pollution linkage. Thus certain lesions in fish species or species groups may serve as a mechanism to assess one facet of ecosystem health. 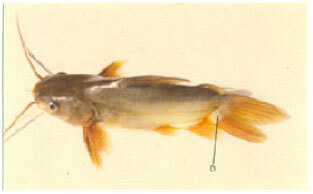 Mystus gulio (Hamilton-Buchanan, 1822) commonly known as Long Whiskers Cat fish, is widely distributed in the seas, estuaries and tidal waters of Sind, India and Burma (Day, 1878). Anthropogenic influx creates a wide array of disastrous effects on land as well as water which ultimately result in depletion of water quality. Pollutants in water include a wide spectrum of chemicals, pathogens, etc. These pollutants promote stress in the environment and there by negatively affects the natural system of living forms (Mukherjee, 2011). Several sites along Kerala are extremely under the threat of pollution from various sources especially Veli, Akkulam etc. (Anu and Latha, 2009). Fish being a cheap source of rich protein for a balanced diet. Its culture and propagation have been given great priority in most of the developing countries. One of the serious problem faced in inland fisheries is the same problem (Moses et al., 2011; Sheela et al., 2011). Water pollution in India has become a major problem threatening the health of millions of people. Water pollution severely affects the aquatic life. India is today facing a serious problem of massive fish death and disease as an after effect of industrial pollution (Arvind, 2002). Some of the diseases which is seen to affect Mystus gulio and illustrated in the work are tumor, malformations in different tissues and deformity. The reasons for these malformations are attributed to the industrial effluents dumped to Veli Lake from Travancore Titanium Products, English clay factory and also from domestic sewage (Akiyama et al., 1986; Joseph et al., 2012; Baumann and Hamilton.,1984; Moses et al., 2011; Sheela et al., 2011). Tumors which are the non infectious diseases will affect the health of the fish (Paperna,1996). Contaminants or pollutants in water can be carcinogenic to aquatic wild life. Fish tumors have attracted the attention of several scientists (Smith, 2000; Matsusato, 1986; Paperna, 1996). 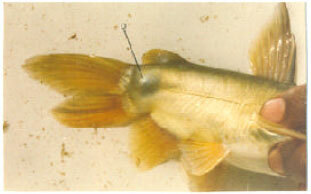 Deformities have frequently been reported in fish and several factors have been attributed as causes for such conditions. Deformities may be due to lack of vitamins, infections by parasites, hereditary factors or mechanical injuries. Deformities caused by pollutants are reported by several scientists (Akiyama et al., 1986; Chonder, 1979; Koyama, 1996; Kraybill, 1976; Bengtsson, 1979; Srivastava, 1984; Das and Mukherjee, 2000; Murali and Anchrews, 1978; Shrestha, 1985). The main objective behind the present study is to cram the impact of pollutants on Mystus gulio and its after effects. Study site: The site selected for the present study was Veli Lake. It is a unique inland lake, separated by a narrow sand bar from the Arabian Sea. The lake is located in the outskirts of Thiruvananthapuram District. The Veli industrial area is situated at a distance of 10 km from the city. There are a number of large, medium and small industries along this area. The industrial area is affected by acute environmental problems causing adverse effects on health of the people. In addition to this, the water at Parvathi Puthanar gets polluted from the partly treated and untreated sewage discharged from the Sewage Treatment Plant. Study period and sampling methods: The study was conducted for a period of one year from June 2010 to May 2011. The samplings were made monthly using traditional fish capturing methods (http://www.ilmb.gov.bc.ca/risc/pubs/aquatic/fishcol/assets/fishml04.pdf). Mystus gulio was selected as the study material for the present study, as the fish showed abnormal tumorous growth. In the Laboratory the length (cm) and weight (g) of each sample was measured accurately to the nearest millimeter and milligram, respectively. Histological procedure: The portion of the tumor along with caudal peduncle was fixed in 10% formalin after primary examinations during the study period. After fixation, the samples were rinsed in water, dehydrated in graded ethanol solutions, cleared in xylene and embedded in paraffin. Dewaxed sections (5-6 μm) were stained for histological and histochemical purposes with haematoxylin and eosin (H and E), Periodic-acid Schiff (PAS) and Alcian blue (pH 2.5). The sections were examined with a LEO 906 transmission electron microscope (Humason, 1979). Tumor: The tumor noticed in M. gulio was reddish in color with an unpigmented multilobular growth found at the caudal peduncle of the fish (Fig. 1). It was lightly collagenized, well vascularised, ulcerated and spindle shaped cell mass. Long delicate cytoplasmic extension provide a neural look. 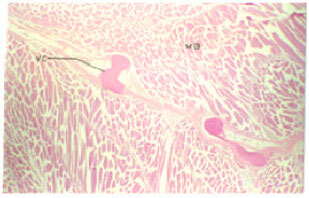 The biopsy from the outer edge of the lesion consisted of structurally intact epidermis (Fig. 2). The epidermis appeared normal and contained abundant mucous cells.The area beneath the basal lamina consisted of tumor cell pegs. Cells at the outer edge of the lesion were large and pleomorphic. Focal areas of hemorrhage were interspersed throughout the tissue (Fig. 3). 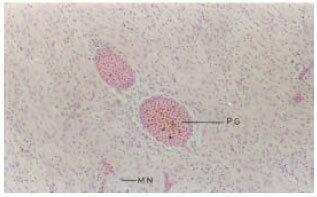 Nuclei also varied in size and shape and frequently contained multiple nucleoli. Multinucleate giant cells were also present. Deeper cells were fusiform, spindle shaped stellate and more uniform in size and shape. The fusiform cells were arranged in parallel arrays. Towards the central part of the lesion no uniform cellular morphology or tissue architecture was apparent. Red pigmented granules were present (Fig. 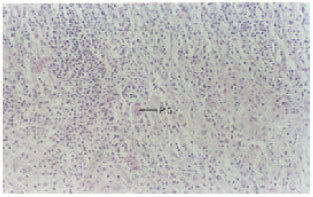 4), large pleomorphic cells with large nuclei and multiple nucleoli were present (Fig. 5). Cells were fusiform and spindle shaped. The fusiform cells were arranged in parallel arrays, while the other type of cells in irregular pattern. Focal areas of haemorrhage and congested capillaries were also seen in the central part of the lesion. Focal nests of tumor cells (Fig. 6) were apparent in several areas. Although pigment analysis were not made ,the morphologic characteristics of the tumor cells and the location of the lesion in a red pigmented area of the fish skin suggest diagnosis of erythrophoroma. Since the site of collection is subjected to industrial effluents as well as domestic sewage possibility of pollution can be one reason for the occurrence of tumor. 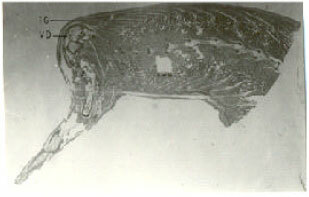 Deformity: The deformity was noticed at the caudal peduncle of M. gulio (Fig. 7). It was in the form of a conical protrusion under the skin and at the base of the caudal fin (Fig. 8). 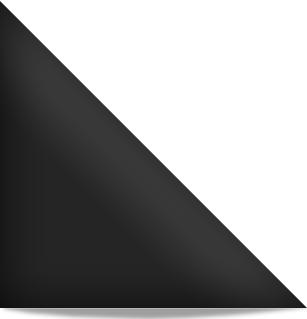 The caudal peduncle was bending approximately at 90°. Figure 9 represents the position of the vertebral column and the associated muscle bands. Disposition of the vertebrae is shown in Fig. 10 and on the Fig. 11.The curvature of the vertebral column and the disposition of the vertebra had resulted in the formation of a tumor like outgrowth and the vertebral disposition was found continued to the tail (Fig. 12). From these observations it could be inferred that the backbone makes a lateral curvature halfway between the dorsal fin and the caudal peduncle. The caudal tip of the backbone makes an abrupt 90° lateral bend and terminates in a spike to account for the protrusion grossly apparent on the caudal peduncle. Vertebral bone is slightly dysplastic proximal to the bend. There is no evidence of callus formation or inflammatory reaction associated with the bend to indicate a recent fracture. This combination of anomalies conclude that this deformity is due to the vertebral dysplasia and malformation following an old traumatic injury. Neoplasia occur commonly in some fishes from certain localities and the reports are on increase (Couch and Harshbarger, 1985; Paperna, 1996; Wellings, 1969). In the present study tumorous growth was observed on the caudal peduncle in M. gulio. Several neoplastic conditions have been reported due to parasites like digenetic trematodes. The occurrence of skin tumors in fish may have direct causal association with the presence in the marine environment of chemical carcinogens arising from industrial and other waste (Hard et al., 1979; Grace, 2007; Nigrelli et al., 1965; Stitch and Acton, 1976; Wellings, 1970). Furthermore, it is believed that fish species capable of expressing a high cancer prevalence may serve as a useful function as indicators of the quality and quantity of pollution (Hiraoka and Okuda, 1983; WHO, 1976). The present reports of diseased conditions in M. gulio was also made from the Veli Lake,a situation highly polluted with industrial effluents and sewage disposal. The accumulation of pollutants in soil can have a direct impact on the body as M. gulio being a bottom feeder. Occurrence of tumors is more frequent in bottom living fishes (Hard et al., 1979; Overstreet and Howse, 1976). They have observed pollutants as the major cause for the incidence of tumors in fish. However from the present study, although the environment was found to be highly polluted, a definite conclusion about the causative factor cannot be drawn. The biopsy of the tumor shows the distribution of tumor cell pegs, focal areas of haemorrhage and a reddish hue to the presence of reddish pigment granules. The morphological characters of the tumor cell and the lesion in the red pigmented area of the skin suggest, the lesion as erythrophoroma. 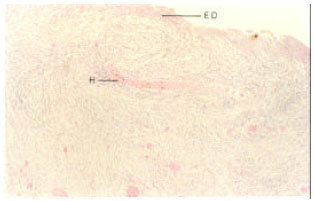 This report of erythrophoroma is similar to that reported in the ornamental carp Cyprinus carpio (Murchelano and Edwards, 1981).They have also reported the occurrence of red colored pigment and the presence of giant cells,fusiform spindle shaped and stellate cells which are arranged in parallel arrays. Deformity: The mechanisms responsible for vertebral damage can be catagorized into two major factors, namely alterations of a structurally critical biological process or acute muscular contraction (Arvind, 2002). Causative agents acting by the first category include hereditary factors, defective embryonic development induced by high water temperature or low dissolved oxygen, radiation, dietary vitamin deficiencies (Vit.C and B12) and toxic substances (Akiyama et al., 1986; Grace, 2007; Bernet et al., 1999; Ghittino, 1975; Kraybill, 1976; Koyama, 1996; Newsome and Piron, 1982; Nigrelli et al., 1965). Factors that could damage vertebrae by causing acute muscular contraction include parasitic infection, electrical current and toxic substances. A good many number of literature on the deformities of fish have been produced by several previous workers. Increased incidence of deformity to the lead content of the diet was also reported Mayer et al. (1977).There are also reports showing that lead caused spinal deformities by interfering with the metabolism of tryptophan. Some of the other important causative factors for the vertebral abnormalities are defects on the embryonic stage of development and mechanical injury to the fish (Baumann and Hamilton, 1984). In the present study a disposition of the vertebrae was observed in the tail region. The reason attributed for the bend in the tail region was due to an old traumatic injury leading to the destruction of the vertebrae leading to a bend in the caudal region. Akiyama, T., T., Murai and K. Mori, 1986. Role of tryptophan metabolites in inhibition of spinal deformity of chum salmon fry caused by tryptophan deficiency. Bull. Jap. Soc. Sci. Fish., 52: 1255-1259. Anu, N. and K.S. Latha, 2009. Heavy metal distribution in Akkulam Veli lake sediments. Proceedings of the 10th National Conference on Technological Trends, November 6-7, 2009, College of Engineering, Trivandrum, Kerala, pp: 1-3. Arvind, K., 2002. Ecology of Polluted Waters. Vol. 2, A.P.H. Pub., New Delhi, ISBN-13: 9788176483186, Pages: 1245. Baumann, P.C. and S.J.Hamilton, 1984. Vertebral abnormalities in white crappies, Pomoxis annularis Refinesque, from Lake Decatur, Illinois and an investigation of possible causes. J. Fish Biol., 25: 25-33. Bengtsson, B.E., 1979. Biological variables, especially skeletal deformities in fish, for monitoring marine pollution. Phil. Trans. R. Soc. Lond. B, 286: 457-464. Bernet, D., H. Schmidit, W. Meier, P. Burkhardt-Holm and Wahlit, 1999. Histology in fish: Proposal for a protocol to assess aquatic pollution. J. Fish. Dis., 22: 25-34. Chonder, S.L., 1979. 'Curred-Normal' vertebral mutants in Cirrhinus mrigala. Indian J. Fish., 26: 232-236. Couch, J.A. and J.C. Harshbarger, 1985. 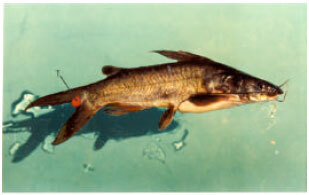 Effects of carcinogenic agents on aquatic animals: An environmental and experimental overview. J. Environ. Sci. Health Part C: Environ. Carcinogen Rev., 3: 63-105. Das, B.K. and S.C. Mukherjee, 2000. 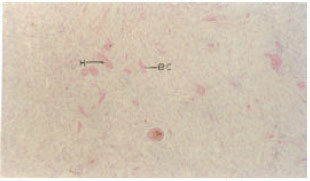 A histopathological study of carp (Labeo rohita) exposed to hexachlorocyclohexane. Veterinarski Arhiv., 70: 169-180. Day, F., 1878. The Fishes of India: Being a Natural History of the Fishes Known to Inhabit the Seas and Freshwaters on India, Burma and Ceylon. William Dowson and Sons, London, Pages: 778. Ghittino, P., 1975. The rainbow trout and its neoplasms: A feral fish converted to a cancer research animal. Excerpta Med. Int. Congr. Ser., 351: 72-78. Grace, B.L., 2007. Physico-chemical features of veli lake-Southwest coast of India. J. Ind. Poll. Control, 23: 307-312. Hamilton-Buchanan, F., 1822. An Account of the Fishes of River Ganges and its Branches. Constable and Company, London, Pages: 405. Hard, G.C., R. Williams and J. Lee, 1979. 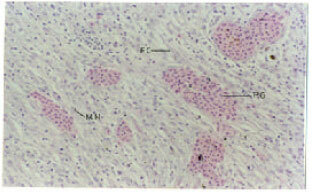 Histopathology of superficial tumors found during a cancer survey of demersal species in Port Philip bay. J. Fish Dis., 2: 455-467. Hiraoka, Y. and S.C. Okuda, 1983. Characteristics of Vertebral abnormalities of medaka as a water pollution indicator. Hiroshima J. Med. Sci., 32: 261-266. Humason, G.L., 1979. Animal Tissue Techniques. 4th Edn., W.H. Freeman and Company. San Francisco, CA., USA., ISBN-13:9780716702993, Pages: 661. Joseph, B., D. Pradeep and S. Sujatha, 2012. Relative study on haematology, glycogen content and histological changes in organs of Anabas testudineus from parvathiputhanar (Polluted) and karamana river (Fresh Water). Res. J. Envir. Sci., 6: 26-35. Koyama, J., 1996. Vertebral deformity susceptibilities of Marine fishes exposed to herbicides. Bull. Environ. Contamin. Toxicol., 56: 655-662. Kraybill, H.F., 1976. Distribution of chemical carcinogens in aquatic environments. Progress Exp. Tumor Res., 20: 3-34. Matsusato, T., 1986. Studies on the skeletal anomaly of fishes. Bull. Natl. Res. Inst. Aquacult., 10: 57-179. Mayer, F.L., P.M. Mehrie, R.A. Schoettger, 1977. Collagen Metabolism in Fish Exposed to Organic Chemicals. In: Recent Advances in Fish Toxicology: A Symposium, Tubb, R.A. (Ed.). Environmental Protection Agency, Office of Research and Development, Corvallis Environmental Research Laboratory, Corvallis, USA., pp: 31-54. Moses, S.A., L. Janaki, S. Joseph, J. Justus and S.R. Vimala, 2011. Influence of lake morphology on water quality. Environ. Monit. Assess., 182: 443-454. Mukherjee, D.P., 2011. Stress of urban pollution on largest natural wetland ecosystem in East Kolkata-causes, consequences and improvement. Arch. Applied Sci. Res., 3: 443-461. Murali, T and J.W. Anchrews, 1978. Riboflavin requirements of channel catfish fingerlings. J. Nutr., 108: 1512-1517. Murchelano, R.A. and R.L. Edwards, 1981. An erythrophoroma in ornamental carp, Cyprinus carpio L. J. Fish Dis., 4: 265-268. Newsome, C.S. and R.D. Piron, 1982. Aetiology of skeletal deformities in the Zebra Danio fish (Bruchydanio rerio, Hamilton-Buchanan). J. Fish. Biol., 21: 231-237. Nigrelli, R.F., K.S. Ketchen and G.G. Ruggileri, 1965. Studies on the virus diseases if fishes, epizootology of epithelial tumors in the skin of flat fishes of the Pacific coast with special reference to the sand sole (Psettichthys melanosticus) from Northern Hecate Strat, British Columbia, Canada. Zoologica, 50: 115-122. Overstreet, R.M and H.D. Howse, 1976. Some parasites and diseases of estuarine fishes in polluted habits of Mississippi. Proceedings of the Conference on Aquatic Pollutants and Biological Effects with Emphasis on Neoplasia. September 27-29, 1976, The New York Academy of Sciences -. Paperna, I., 1996. Parasites, infections and diseases of fishes in Africa-an update. CIFA Technical Paper No. 31, FAO, Rome, pp: 1-220. Sheela, A., M.J. Letha and S. Joseph, 2011. Need for sustainable planning with reference to land use and water quality. Proceedings of the National Technological Congress, January 28-29, 2011, Kerala College of Engineering Trivandrum -. Shrestha, T.K., 1985. Further observations on the vertebral deformity in Heteropneustes fossilis (Bloch). MATSYA Bull. Indian Soc. Ichthyologists, 11: 82-84. Smith, A.C., 2000. Comparative pathology. Arch. Pathol. Lab. Med., 124: 348-352. Srivastava, A.K., 1984. Caudal fin deformity in fresh water spiny eel, Macrognathus aculeatus (Bloch). MATSYA Bull. Indian Soc. Ichthyologists, 9-10: 189-191. Stitch, H.F. and A.B. Acton, 1976. The possible use of fish tumors in monitoring for carcinogen in the marine environment. Prog. Exp. Tumor. Res., 20: 44-54.
WHO, 1976. Health Hazards from New Environmental Pollutants: Report of a WHO Study Group. World Health Organization, Geneva, Switzerland, ISBN: 9789241205863, pp: 23-24. Wellings, S.R., 1969. Neoplasia and primitive vertebrate phylogeny: Echinoderms, prevertebrates and fishes: A review. Natl. Cancer Inst. Monogr., 31: 59-128. Wellings, S.R., 1970. Biology of Some Marine Fishes. In: A Symposium on Diseases of Fishes and Shellfishes, Snieszko, S.F. (Ed.). American Fisheries Society, USA., pp: 296-306.